Hello everyone, Happy Hump Day! 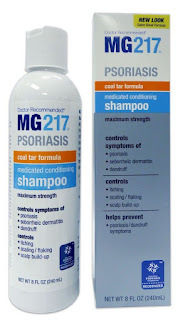 Today I will be doing a review on the MG217 Medicated Conditioning Coal Tar Formula Shampoo -- what a long name! I'm not quite sure when it started but out of nowhere I noticed my scalp was getting super dry, especially during colder months. So I thought it was my skin changing as I age because I have noticed I went from super oily to combination skin. I didn't pay much attention to it and let it be. It was very embarrassing to have white flakes all over my top--and I basically only wear black so it stood out even more. I let years go by because like I said it was only seasonal so it was on and off. I've noticed that since I've moved to the west coast, the water and air changed my skin tremendously. It's drying me out! My scalp was getting so itchy that I would scratch it so hard, it was causing me pain. The flakes were no joke! You could see huge chunks of dead skin lifted off my scalp, all stuck in between the hairs. I would wake up in the morning to see flakes all over my pillow and bed--imagine sleeping over at your boyfriends...yeah very embarrassing! I even covered my head in coconut oil and slept with it in but nothing worked. After doing some googling, that's when I realized that it wasn't just dandruff (well I realized when I saw the humongous flakes) and it was something more serious, psoriasis. 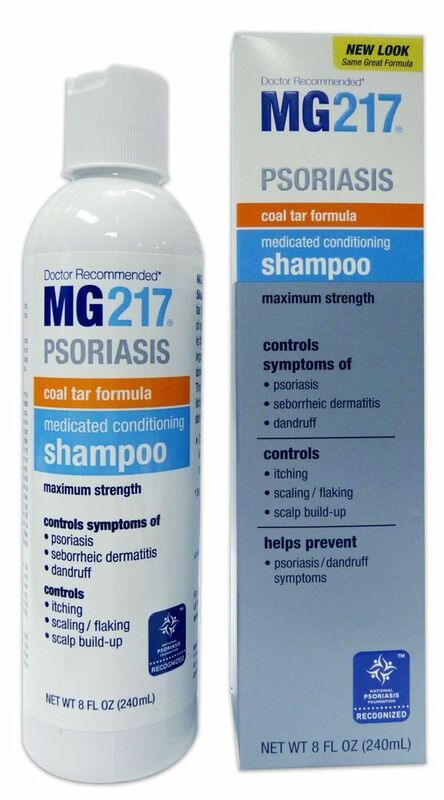 I went to my local CVS and checked out their tiny section of psoriasis shampoos. I picked this one because it said maximum strength on the front. I didn't notice much after the first time but I think the 2nd or 3rd time I noticed it wasn't as itchy. I've been using this for about 2 months or maybe a little more and let me tell you.....THIS THING WORKS! It says to use it at least twice a week but I use it every time I wash my hair, which is every other day. I always do 2 shampoos, the 1st one I scrub quickly to get rid of any oil, dirt, pollution, etc and rinse. Then I do the 2nd shampoo and really scrub my scalp with my fingertips (not your nails) and clip it up so the shampoo can sit for a few minutes. Now it does say it's conditioning so I usually don't apply any conditioner but I will spray a leave-in conditioner when I get out. If you want more softness, you can always condition it. It does have a strong coal smell but you get use to it. I did switch over to a regular shampoo in the middle to see if maybe I can alternate the two but my psoriasis is so bad that the day after I used it the pain, redness, itchiness and flakes all returned! So looks like, I'll be using this for the rest of my life. I got mine at my local CVS for like $11 but I can't find it on their website. Walgreens also sell it for $9.99 on their website so you can check out your local store or purchase it online.